Here’s a recap of what’s been going on for Razer last year. More well-known for its quality gaming hardware that makes gamers go “Chroma crazy”, the company now becomes relevant to even non-gamers. However, not forgetting their loyal fanbase, CEO Min-Liang Tan announced the first Razer Phone, noting that “[…a lot of their] gamers are also passionate about the mobile gaming market”. After 12 years of razing the gaming battlefields, Razer in October 2017 filed for IPO on the Hong Kong stock market, propelling Tan’s net worth as well as the company into the billions. Naming the stock code, 1337.HK, the IPO received rousing success as it was over-subscribed 290.24 times on 14 November (US time), the first day of the company going public. Razer is said to be valued at HK$34.4 billion then, based on the share price at HK$3.88. Following that, the Razer Phone makes its debut in Singapore first before the rest of Asia in a tie-up with Singtel. Keeping to their promise, Razer revved up efforts to prepare Razer Pay for its launch. In April this year, they acquired Malaysia-based MOL Global in a deal worth US$61 million, enabling consumers on both sides to pay with the virtual credit, zGold, for anything on their platform; from games to downloadable content (DLC) to shopping on Lazada where you’ll find the official Razer Game Store. Then in May, Razer decided to take their relationship with Singtel to the next level by entering into a partnership to grow e-payments as well as eSports in Southeast Asia. With that move, 500,000 Singtel Dash users become part of the Razer Pay base, allowing them to transact on Razer Pay and vice-versa and also to purchase zGold. At that time, Tan shared that they are “way ahead” of the 18-month deadline set by PM Lee. Two months later, Razer Pay — designed for youths and millennials — launched in Malaysia, attracting over 500,000 sign-ups in less than a week. Users can do peer-to-peer cash transfers, online transactions to pay services on the platform, and perform contactless payment at participating retail and F&B vendors. On home ground, Razer enters into a partnership with United Overseas Bank Limited (UOB) for the launch of Razer Pay in Singapore, and again, it’s described as an e-wallet for youths and millennials. Some of the features include topping-up the e-wallet via FAST (Fast And Secure Transfers) or eNets Debit or Credit, paying for overseas purchases within the app, and possibly enabling users to make payments to merchants and vice-versa with PayNow Corporate. In September, Tan shared that as there is no “viable third-party e-payment provider” they will launch Razer Pay in Singapore by April 2019, expecting to issue one million wallets. With that, he makes a call for the “best payment engineers and experts in Singapore” to join him in the development. When unified Quick Response (QR) code SGQR was released, FAST was also made available to non-bank fintech players in Singapore, allowing customers to transfer funds to and from any e-wallets. Razer was amongst the non-bank players to be onboard. This month, Razer announced its alliance with NETS and retail and e-commerce brands including Reebonz, SISTIC, and SP Group. The move will enable Razer Pay to be accepted on 40,000 NETS’ POS terminals, allowing users to make purchases in-store and online at participating merchants with Razer Pay. Staying true to its roots, Razer Pay will also offer its Singapore users Steam Wallet codes, Sony PlayStation PINs and Blizzard balance PINs. To bolster its highly-anticipated e-payment solution, Razer on Monday (12 November) signed a Memorandum of Understanding (MOU) with Singapore-based digital security firm, V-Key. Under the agreement, V-Key is tasked to provide leading technology to support and facilitate authentication and security for Razer Pay and across the entire Razer ecosystem. V-Key’s seamless app-to-app user authentication and authorisation mechanisms will be employed to enable secure transactions for Razer Pay users. 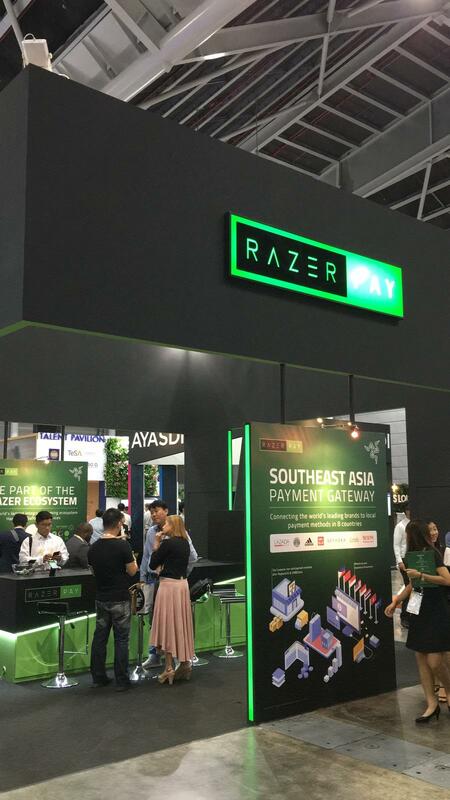 The statement shared that Razer Pay will leverage on V-Key’s expertise across government-, banking-, and gateway-level applications to develop and secure the Razer Pay application, protecting its “million-strong network of merchant acceptance points in ASEAN”. Plans for upping the authentication and security process for the global Razer ecosystem game could see an integration of V-Key’s Public Key Infrastructure (PKI) technology secured by its own V-OS Smart Token technology across all of Razer’s platforms. 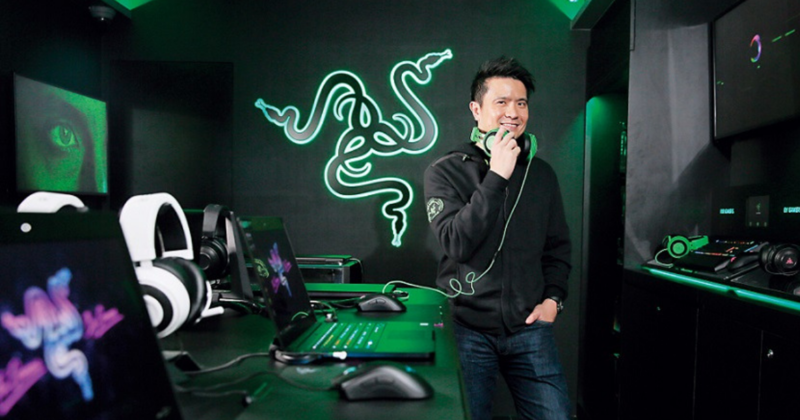 “The same trusted technologies that have been deployed by banks and governments will now be made available to the gaming and entertainment space through Razer, allowing for seamless and secure user experiences,” Said Joseph Gan, Co-founder and President, V-Key. Charting another milestone with UOB, Razer yesterday (13 November) announced its collaboration with UOB’s fintech and innovation accelerator, The FinLab, to come up with a proof-of-concept (POC) to test cross-border remittance using blockchain technology. They aim to improve efficiency of cross-border remittances by increasing transparency and speed with blockchain. Razer Pay will lead the technical and product development of the POC, and UOB will mentor and guide Razer Pay in areas such as settlement and the sending and receipt of remittance messages through The FinLab. The statement added that the collaboration among Razer, UOB and The FinLab sets the foundation for the roll-out of Razer Pay across Southeast Asia in the coming year. Razer moving into fintech is probably a sensible horizontal for the company seeing that their customer base is likely to be tech-savvy. Even though Razer is known for manufacturing gaming hardware and is seen as a leader in eSports/gaming, it actually feels right for them to provide their customers another product that they can use in gaming and IRL (in real life). By taking up PM Lee’s challenge, Razer created the opportunity for themselves to become a big player in the e-payments space, especially when the Southeast Asia market hasn’t gotten too saturated, yet. Amidst all their hustling to make Razer Pay happen in Q1 2019, it’s heartening to see that they haven’t put the brakes on the development of their flagship products and their championing for eSports. They launched the Razer Sila, the Razer Phone 2, Razer Raiju Mobile, and the new series of Razer Blade 15. Together with Singtel, they organised the PVP eSports Championship in July, featuring notable games like Dota 2 and Hearthstone, with a prize pool of S$400,000. Most recently, Tan, who was inspired by the Malaysian government’s commitment of RM10 million to develop eSports in the region, also pledged to invest an additional RM10 million into the Malaysian eSports scene. With the burgeoning popularity and exposure of eSports, ONE Championship sought out Razer’s partnership, as well as their expertise, to launch ONE eSports next year. 2018 is definitely an exciting year for Razer, and we expect it to be even more electrifying come 2019.